My son Logan, is wearing the costume. He wanted to be a custom mini-fig like the one he put together and named Sir Knights-a-not. Because he’s not a knight . 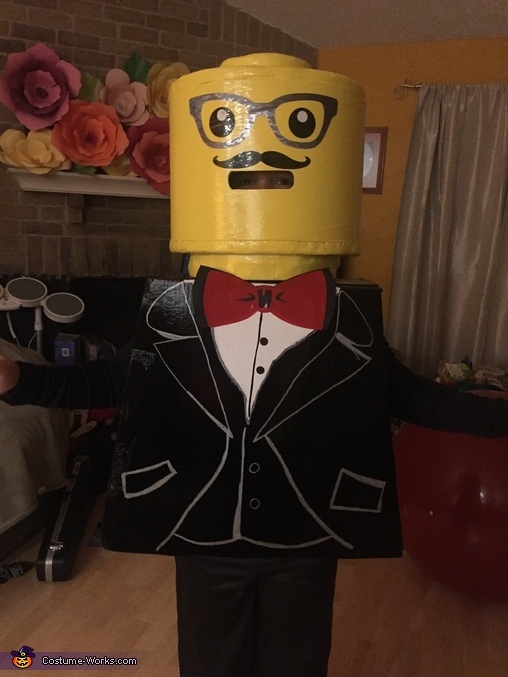 We used a concrete form for the face, foam insulation for the top and bottom of the LEGO head, a box for the body and a Cricut machine to cut out the facial features. The costume is to scale of an actual LEGO 32x.